The UK Government has been condemned for a lack of action to support a major clean energy project near Peterhead. 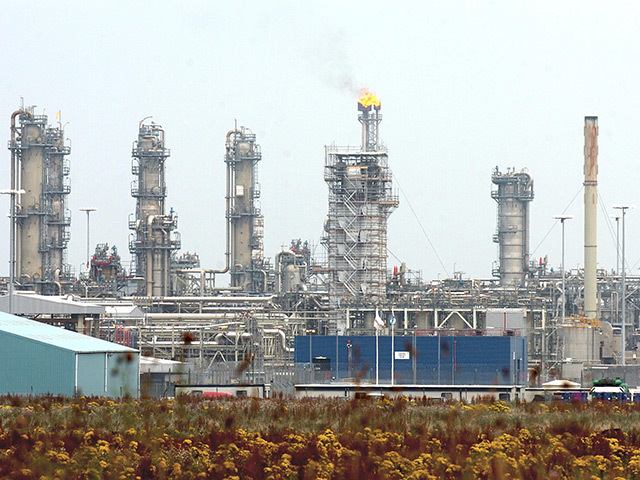 The accusation from the SNP comes four months after a Westminster taskforce report highlighted St Fergus as a key region to deploy Carbon Capture and Storage (CCS) technology. In 2015, a similar project at Peterhead Power Station, which was expected to bring hundreds of jobs to the region, was forced to be scrapped as the government withdrew a £1billion fund to develop it. The move caused political uproar, but since then the government has said it wants to roll out CCS in order to meet climate change targets. In July, the taskforce report stated the demonstrator Acorn CCS project, run by Pale Blue Dot at the St Fergus gas plant had “unique potential” to expand the tech due to its links to the oil and gas industry. CCS is used to capture carbon dioxide from power stations or industry and store it underground in a bid to reduce greenhouse emissions. The CO2 can then be used for other purposes such as creating building materials. Banffshire and Buchan Coast MSP Stewart Stevenson, who has campaigned for developing CCS at Peterhead, said: “The potential for Peterhead as the UK’s prime site for carbon capture and storage is in absolutely no doubt. The UK government’s own report identifies its ‘unique potential’. “But despite the UK government’s enthusiasm for the project in July, there’s been no signs of progress since – no deal signed, no timescale and no funding committed by the Chancellor in last week’s Budget. It was a huge missed opportunity. Mr Stevenson added that the people of Buchan had been “betrayed”. He said: “Successive UK governments have kicked CCS around like a political football. “They used the promise of £1 billion investment as a bung in the 2014 referendum. In response, the Department for Business, Energy and Industrial Strategy (BEIS) highlighted it will be holding a global carbon capture and storage summit in Edinburgh at the end of this month, and will set out its plans “later this year”. A BEIS spokesman said: “Carbon capture and storage represents a fantastic opportunity for the UK and will be an essential part of our transition to a low carbon economy.